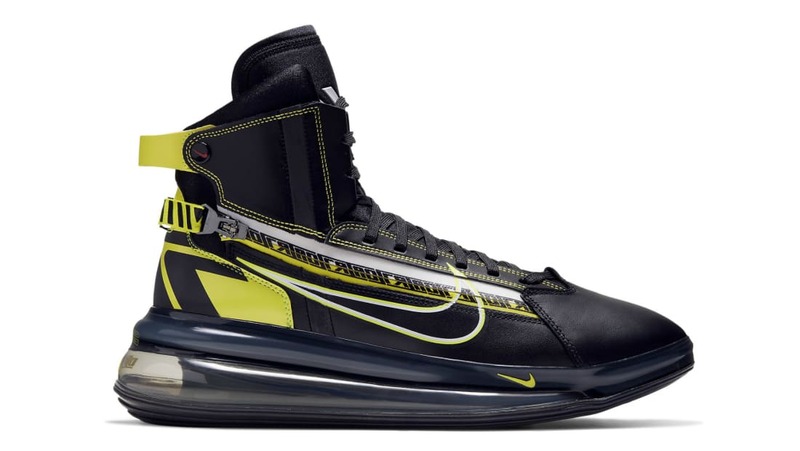 A nod to Charlotte's racing culture, the Nike Air Max 720 SATRN will feature a black high-top build that's paired with volt-colored accents seen on the sides, heel counter, and tongue. The upper sits atop a 720 Air Max cushioning setup in black. Release date is Feb. 12, 2019 at a retail price of $200.